From 25 November to 10 December we will be showing our support for an important issue for not only Victorians but the world, by going orange. Unite with us and other Victorians and go orange too – wear and display orange during the 16 days of activism. Become part of a larger global movement that promotes awareness of family and gender violence. Orange is the colour designated by the UN Secretary-General’s UNiTE to End Violence against Women campaign. As a bright and optimistic colour, orange represents a future free from violence against women and girls. 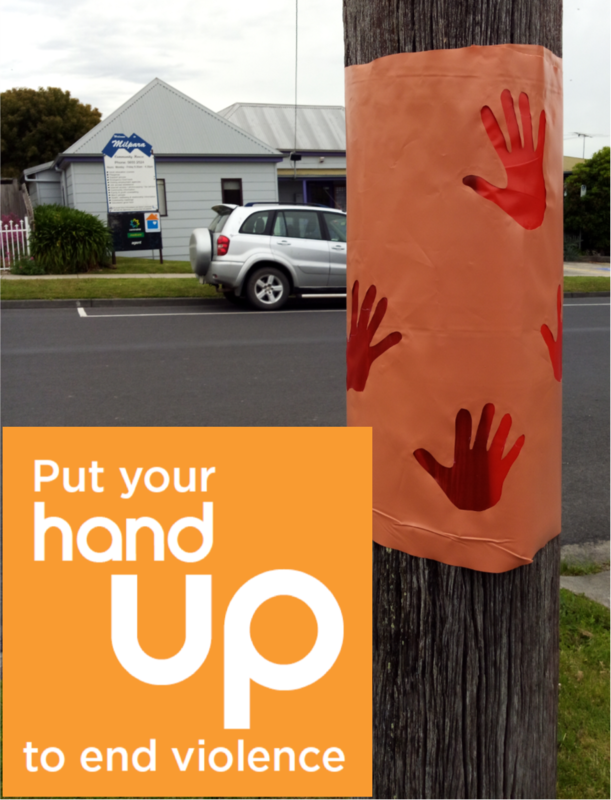 In 2018 Milpara plans to place orange ‘put your hand up collars’ around the power poles along sections of Bridge Street, Princes Street, Mine Road and Shellcot Road. We would love the community to get involved. We invite you to trace and cut out hand prints from plastic provided at Milpara. These will then be put on display during the 16 days of activism. 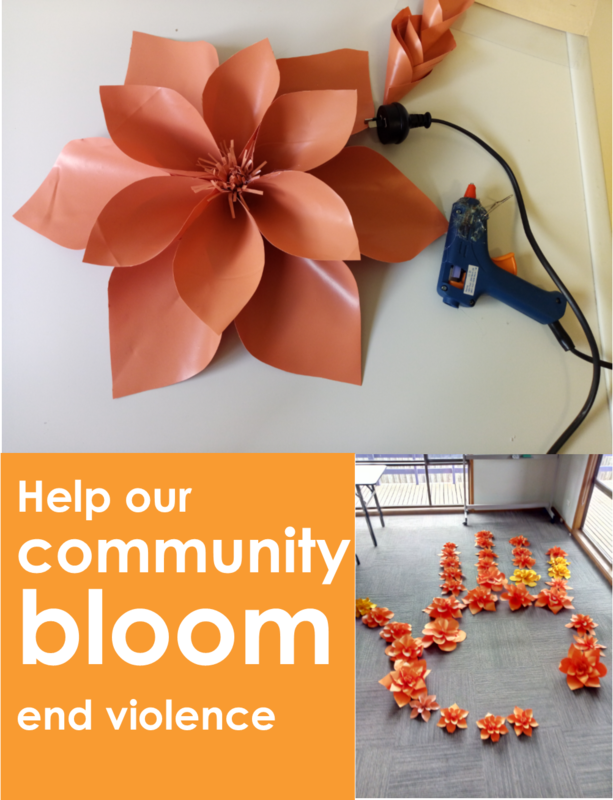 Also as part of our 2018 campaign, we plan on having orange flowers on display, including a large hand created with orange flowers. We feel by ending violence we can really make our community bloom. We have plastic available for use along with instructions and templates for those who would like to create flowers for this installation. Milpara Community House does not see itself as an authority on Domestic Violence. We see our role as assisting in providing information to our community and importantly, being part of the movement to bring about change, unity and end family and gender violence. Australia has a choice. We can change the story that currently sees a woman murdered every week by a current or former partner. We can choose a future where women and their children live free from violence. If you would like any more information, please call Milpara Community House on 56552524 or drop in and visit us at 21 Shellcot Road Korumburra.